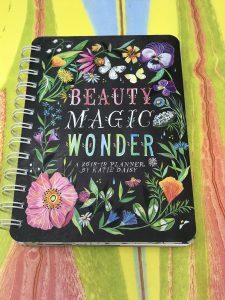 I discovered this lovely Beauty Magic Wonder Planner by Katie Daisy on Amazon. The illustrations are amazing and I absolutely love the artwork on the black background. 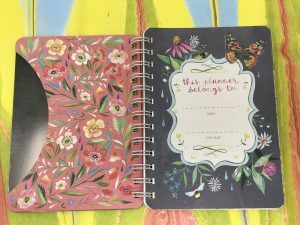 The size is slightly smaller (5×7) than my current Erin Condren planner, and it doesn’t have the solid rose-gold coil binding that I love on my EC Planner. 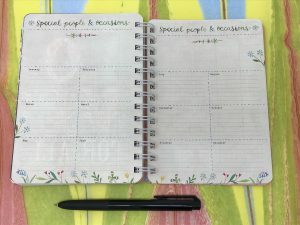 It also doesn’t have the higher price tag that comes with the quality and the personalization of the EC planners. 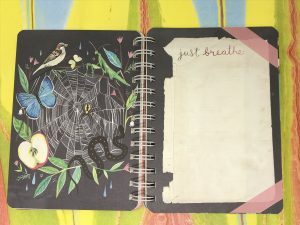 For me, it’s fun to switch things up and not always use the same planner year after year – although I have, for as many as five or six years. 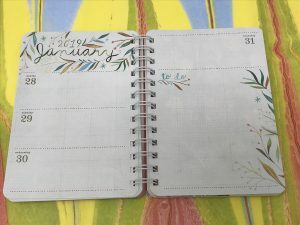 This is my second year with Erin Condren but I think I will take a break from EC in 2019 and see which planners step in to fill the void. Granted, this planner at 5×7 is slightly smaller than what I’m used to which is 7×9. 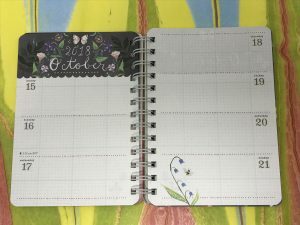 But, because I use multiple planners for different purposes, I can easily adjust what I use this one for which will basically be daily planning. 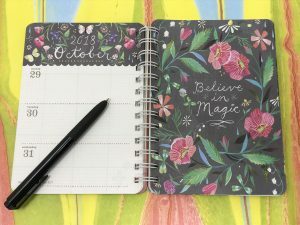 And the best part is that I can start using it now as it has Aug-Dec 2018, plus all of 2019 in it.